March 18th – I keep banging on about equinoxes, and like the idiot I surely am, I thought I knew about them. It turns out like many things I think I understand, there’s so much more to it than I knew. 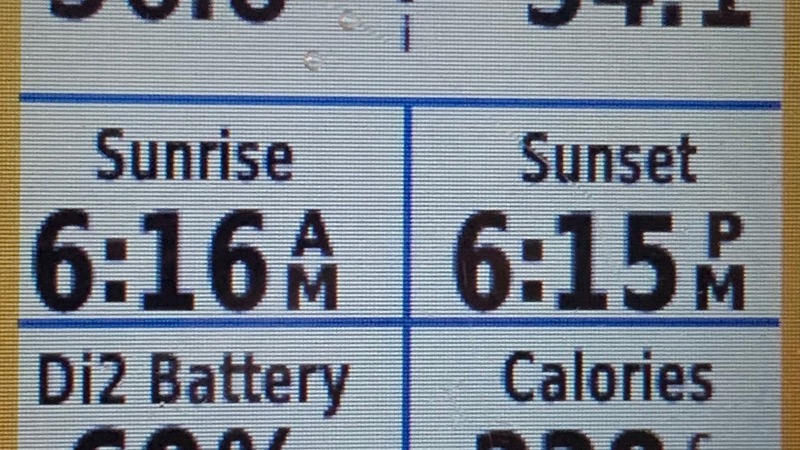 Today, the length of the daylight was near as damn it 12 hours: the sunrise was 6:16am and sunset a 6:15pm. Tomorrow, the daylight will be longer than night. But this is not the equinox (when the sun crosses the equator). This is the equilux – equal light. Although, it’s not really equal at all: A number of factors including how we might use the three definitions of twilight complicate this. I looked it up tonight and was fascinated. The equinox actually happens on March 20th this year – that’s Wednesday. You can find out all the gory detail of how this stuff works at this excellent blog post here – the comments are worth a read too if you have time to spare.